Dead silent, fantastic performance, and a good price (around €40 where I got it). Keeps my i7-6700k at around 22-25 °C under light load, all while remaining really silent. I'm very happy with this cooler. Only gripe is that it can be a bit of a pain to mount as an inexperienced builder. The heatsink is also quite big, which means some memory slots may be covered. Luckily, the back fan can be mounted slightly higher to mitigate this issue, though this has some impact on cooling performance. God tier cooling, here is a good review of it which I can't really do myself due to lacking coolers to test and compare it to. 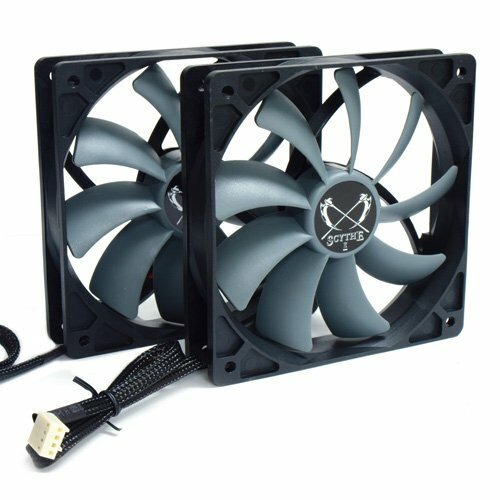 Its fairly cheap at $46 at the time of this review and can out perform $100+ AIO coolers and its under 150mm tall. 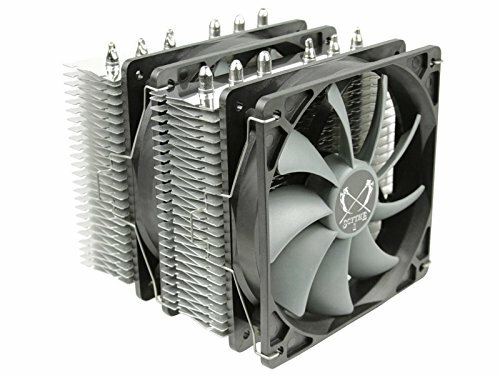 If you need a cooler and don't mind a HSF I would strongly suggest buying this, its a hidden gem and literally nothing in its price range comes close to touching it. I didn't use the stock fans on the cooler but I am using them as intake fans at 100% speed and I have to say they are decent noise wise. The fans don't have good static pressure although its not bad but I look at it as a good thing since it really allows you to use just about any fan on it. The front fan likely won't fit with it at the bottom/default position with your RAM but never fear, you can raise it up so RAM clearance really isn't a issue unless you are using high profile RAM since half the fan wouldn't be on the cooler and it would increase the total height of the cooler by a decent amount. Moving the fan up with low profile RAM increases a few mm which is something to keep in mind. It can support 3 fans if you are into that, check my completed build out for a idea of that it looks like. I did a test of it below. Mounting pressure is key to its performance. For advice on the tightness of it since you don't want it too tight I just tightened it with a screw driver until it really wouldn't go anymore without putting some force into it, once you start running into resistance tightening it and the cooler doesn't move much or at all I would say that is good enough. 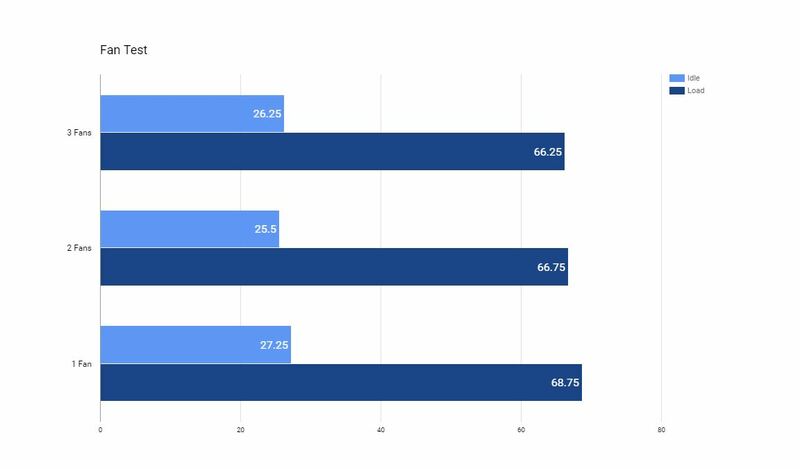 For how much difference fans make I did a test although I did not use the stock fans so I can't say it will apply to them. TL:DR I did the best I could and have a above average cooling set up with the fans on my cooler and case. I had two fans plugged into one header and the other into another header which I just plugged. Not perfect but the fans are a pain in the *** to install so I didn't remove them. My CPU is a i5 6600K at 1.42V, I could have done lower voltage but I did 1.42V since I feel like that is somewhat more realistic for people but then again I do have ~$89 worth of fans on a sub $50 cooler. Also I have quite a few case fans in my case but all run at a constant speed. The fans that I used weren't the stock fans but were Noctua NF-F12 industrialPPC-3000 so they are quite beefy and in fact 3 of them cost more than the cooler itself. I set the fan speed to 3000RPM to remove the variable of varying fan speed during testing. The single controlled fan is in the very rear so its not ideal place so its only affecting one tower airflow wise but the results were still good for it. I got the temps by averaging the max and min, not ideally but its the best I could think of and it does appear to have worked right since the results do make sense with 1 fan being worse than 2 and two being worse than 3 under load. With two fans the idle was 25.5C which is lower than the first test but I am marking that up to the way I obtained the temperature and/or the outside temperature. The load temperature was 66.75C which is only .5C higher than the 3 fan test which I did find surprising but I thought maybe I hit some sort of threshold with the cooler. For the single fan test the idle was 27.25C which makes sense that it is a bit higher. For the load temperature it was only 68.75C. That is right. I redid the test twice since I didn't believe it and even checked to make sure the other fans weren't running. I am super surprised that it ran that cool. Good cooler, but very difficult to install. Screwing it to the MoBo was really finicky. The manual wasn't clear on how to clip the fans on the radiator. A lot of review sites give this cooler a lot of praise, especially when it comes to the value department. 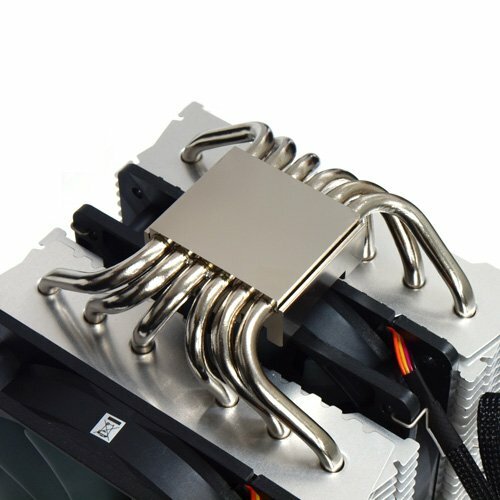 I totally agree, this can be one of the best bang-for-your-buck CPU coolers available. The only aspect of this cooler that isn't a mixed blessing is the price. That is 100% a huge plus for the Fuma. Everything else has its upside and downside. 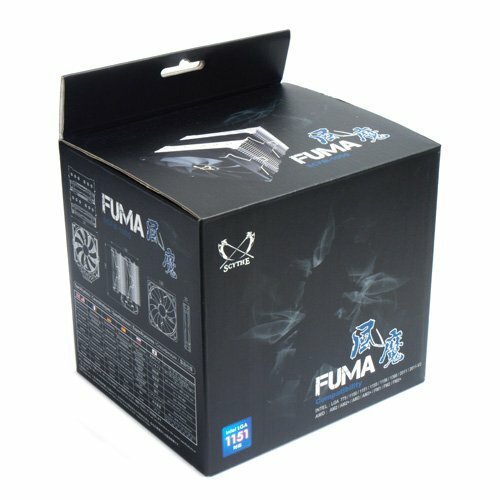 The height is good, because it means the Fuma can fit in skinnier cases than even the 212 Evo. However, it has terrible RAM clearance (my Ripjaws X was too tall, so now both fans are in a "pull" configuration). 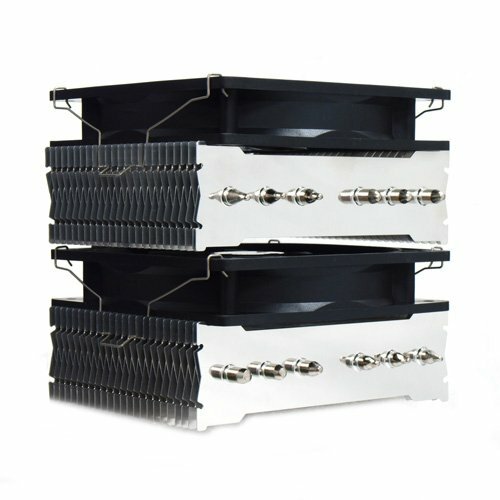 You can really tighten the cooler down until it reaches NH-D15S levels of cooling. You can also break your i7-7700K in the process. The included fans are fairly quiet. They are also not very good for moving air through a lot of tightly-packed fins. Interestingly enough, the cooler can absorb heat fairly well, but the fans aren't great at removing it. Despite all of the cons and nitpicking, this cooler seriously dropped my temps by anywhere from 8-12 degrees Ceslius compared to my 212 Evo, and it did so while being quieter. My i7 with an undervolt and the 212 Evo ran about as hot as it now does with an overclock and the Fuma. I can confidently recommend this cooler, with a few caveats: no tall RAM; no tightening with power tools; no wishing for a better cooler ;). Since this is a symmetrical cooler, the RAM issue is doubly as bad on X99/299. Also, some reviews make it seem like it doesn't include the AM4 bracket, but mine did. TL;DR: It's good, but watch out for RAM clearance and overtightening. Edit 9/17/17: There is now a Scythe Fuma Rev. B SCFM-1100. It looks like it has the same mounting system as the Scythe Mugen 5. If that is the case, then the Fuma Rev. B solves the issue of overtightening and uneven tightening by using springs on the screws. There are no reviews out yet, but I can't imagine the springs would have made the cooler worse.